"TECH SUPPORT! TECH SUPPORT!" - sol. ref. It starts in any number of places. You’ll be walking through a public space—a mall, an office complex, a high-street—when suddenly everything starts to move away, becoming distant like a tilt-shift photograph. Everything’s still there, but you’re not entirely sure in what way. Sometimes it feels like everything you’re walking on, everything you touch, is coated in a fine layer of teflon, or the way you felt when you first read that theory in particle physics about how nothing is ever touching; how every sensation you feel is actually just the force of electrons in your hand and in the object pushing against each other. You begin looking around you, picking things up, registering every sensation and trying to create a catalogue of texture. It’s the feeling of disconnection, or maybe misalignment. You’re living in a reality, but you’re not sure it’s the same reality as the one you’re perceiving. Maybe at some point there was a tear in the space-time continuum and you ended up on an alternate timeline. Everything seemed fine until that break became apparent to you. Then everything started to seem a little less “real”. You cast your mind back, back through time, thinking of other little moments, realising that things were never really all that fine. You were just comfortable; comfortably misaligned. For the past thirty years, liberalism has been happily winning the culture war. Society was shifting gradually in favour of inclusivity and progressive values. For all the horrors taking place around the world, elsewhere, to other people, in other places, in varying degrees, we took comfort in knowing that things would turn out in our favour. All the films, the records, the award ceremonies, the late-night television shows, espoused a progressive vision that placed its hand on our shoulder and told us that we were doing good, and doing good was good enough. Momentary disruptions of the victory party were less a sign of unstable ground than just that; momentary disruptions. War, inequality, stagnating wages, vanishing support structures, increasing atomisation, subsequent alienation, seemed less of an imminent threat when we turned on Have I Got News For You, or The Daily Show, or The Colbert Report, and “got” all the jokes that the hosts read from the teleprompter. Getting the jokes meant that we were good, and if we were good, and the images we consumed were good, then things were good. Good enough. But while all of this was going on, is it possible that we were ceding ground elsewhere? After all, the welcome victories of the Blair years—virtually all of them now peacefully erased—were coupled with a steady ratcheting-upward of neoliberal economics, PPI, deregulation of the financial markets and a blurring of the line between public policy and private enterprise. Not to mention the starting of a war in the Middle East that would lead to the deaths of 1 million Iraqi people (and counting); a war which, despite a gleeful declaration of “Mission Accomplished” less than two months after its commencement in May, 2003, continues to rage on today, albeit in a different, less discernible and infinitely more chaotic form, and the fallout of which left a wake of turmoil that laid the groundwork for subsequent destabilisation and sectarian violence. Fifteen years later, political operators now point to the ongoing civil war in Syria and its surrounding territories as a potential base of operations for the next few decades of conflict. The war in Vietnam may have lasted 20 years, but at least it ended. As time goes on, it seems increasingly clear that victory in the Middle East is, paradoxically, dependent upon its continuation in perpetuity. Water flowing underground, same as it ever was. When 2008 rolled around and Barack Obama ascended to the Presidency of the United States, we once again breathed a sigh of relief, comforted by the knowledge that, despite everything that had happened, we were still winning, even if we were less and less sure of the prize. The incremental shifts in media, pop culture and belief systems continued—as did the drone bombings, the deportations, the mass surveillance, the atomisation, the alienation, the pushing of atoms against atoms. 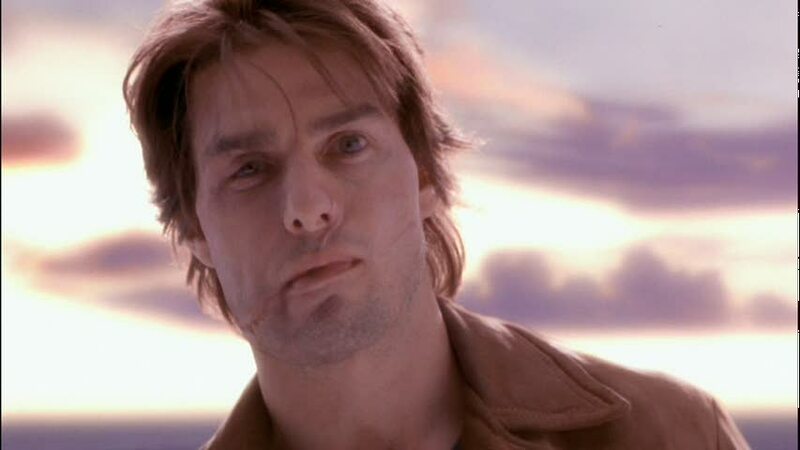 In Cameron Crowe’s 2001 film Vanilla Sky, Tom Cruise plays David Aames, a wealthy publishing magnate in New York City who, following a car accident that leaves his face severely disfigured and his on-and-off lover Julie Gianni dead, retreats into a simulated reality, cryogenically freezing himself with the assistance of the Life Extension corporation. Drawing from his own life, tastes and passions, the Life Extension corporation not only rebuilds Aames’ life, but creates a beyond-perfect facsimile, weaving references and homages to his favourite pop cultural artefacts into his reality; the cover from a Bob Dylan album; the sky from a particular Monet painting; shots from films by La Nouvelle Vague filmmaker Francois Truffaut; a psychiatrist who resembles Gregory Peck’s character from the 1962 dramatisation of To Kill A Mockingbird. Aames’ simulated life is more than escapism into the life he once had. It’s escapism into an idealised life that he always wished had been; impossibly perfect. When a member of “tech support” appears, they explain Aames’ situation; that, racked with guilt by Julie’s death, the breakdown of his relationship with the love of his life Sofia Serrano and his inability to accept his disfigurement following the accident, he committed suicide. His body was preserved, placed in a cryogenic state, and since then has been living out a fantasy of his own creation. 150 years have passed, everyone he ever knew or loved is dead, and the world which he stands to awaken to—should he so choose to—is vastly different to the one he left behind. After spending over a century living in a fantasy of his own creation, cushioned by his own personal structure of pop culture, reference and nostalgia, right down to the soundtrack, Aames is faced with a choice; to retreat back into the safety of that world, and the feeling of security that unity of pop cultural ephemera gives him, or to rejoin the real world, and accept the risk that the world he’s awakening to is now vastly different to the dream in which he had been living. The past few decades have been characterised by the ascendancy of a strange new kind of authoritarianism; one led not so much by dictators and demagogues as by the markets. Starting with the rampant financialisation of the ‘80s, our politics has gradually given way to the invisible wisdom of neoliberal capitalism, total suspension of agency in favour of a world where the invisible hand knows best. For the first fifteen years or so, its gradual creep seemed innocuous enough, and offered enough tangible benefits here and there, that we were largely willing or able to accept its conditions. But as we entered the 21st century and were inaugurated into the “new reality” of Rove, Bush, Blair, Cheney, et al, many of us experienced a break of some sorts, an increasing feeling that something wasn’t working anymore. For some of us, maybe it was the decision to respond to a terror attack by Saudi operatives with the invasion of a tangentially-related nation and of another with virtually no connection whatsoever. Perhaps it was seeing hundreds of thousands, if not millions, pouring out into the streets to protest these same wars, only for our cries to fall on deaf ears. Maybe it was watching financial markets collapse around the world as a consequence of deregulated markets, casino-style banking and impenetrably-complex derivatives, then seeing the same people responsible for that collapse bailed out and rescued while regular people lost their homes, their jobs and, eventually, the already-gossamer thin platform of stability that had been their support system. Over the past fifteen years, as media has become evermore all-encompassing and our exposure to it more expansive, what once were hair fractures in the frame seem to have grown, becoming cracks, and then faults, and then chasms. And in many ways, we retreated into our own self-made fantasies. Those classic films that defined our childhoods and earlier years are coming back, with better graphics, soundtracks, and even ethics. Everything feels like it’s getting better, and in many ways it is, and yet, at the very same time, we feel a strange, creeping dread that perhaps, despite all of this, things are getting much, much worse. On my current walk to work every morning, I pass through a large, futuristic train station, followed by a massive shopping mall filled with the usual perfumeries, shoe shops, food chains and, now, virtual reality stores. Then, I walk into the massive, empty hallway of a 20-storey office building, still in construction but already rented out, and I stare up at the ceiling of tiles of frosted glass designed to let the sunlight eke into this strangely claustrophobic space of calculated nothingness, and I wish I could scream out for tech support. But I know, deep down, that nobody’s coming. David Aames’ dream may have turned into a nightmare, but in this world, our nightmare feels like an inconsequential fragment of someone else’s dream. But every time I feel the world drifting further away, I wish there was some way to wake up.